The beginning of a new year is an exciting time! People use it as a clean slate and a way to start over. Have your customers end their year and turn over a new leaf in your restaurant with New Year’s Eve promotions that will let them have the time of their life (*cues up Dirty Dancing theme*). When you think of New Year’s Eve, sounds of champagne bottles popping and glasses clinking may come to your mind in a more adult setting. But the beauty of a New Year’s Eve party is that it can be geared toward whatever audience you want! While it obviously works well in bars, there are other establishments that can still get in on the holiday festivities. Are most of your customers families with younger children? Have a New Year’s Eve early dinner with kids’ activities and crafts so everyone can be entertained. Even breakfast joints can get in on the celebration by hosting a New Year’s Day brunch and catch the crowd the morning after, bonus points if you have a build your own Bloody Mary bar. A theme is very important for creating hype and interest. It’s easy for customers to justify popping a bottle of champagne and watching the ball drop from the comfort of their homes, but a good theme can entice them to see the value in the experience (around 9% of Americans go out for New Year’s). Pick one that you think would be the most fun and memorable for your guests to enjoy. Some popular themes over the years include reality TV, roaring 20’s, beach, New Orleans, and 90’s throwback. Although a theme isn’t necessary (even just New Year’s Eve could be your theme! ), it can really lend itself when you’re decorating your space and creating a memorable menu. The key to get people to show up? Make sure they know about it! 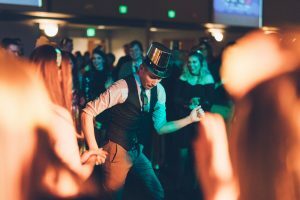 With so many other holiday gatherings happening, all around a few weeks span, it’s important to promote your New Year’s Eve party around the beginning of December. Try some of these methods to advertise your party and keep it marked on their social calendar. If you’ve had prior New Year’s events, be sure to send out notices to past attendees that they are not going to want to miss this year! After you have their attention, consider selling ticket packages to the event. This can help lay out what guests can expect from the event and people are more likely to follow through if they have already paid the money upfront to attend an event. For example, packages could include appetizers, dinner, drink tokens, or even a champagne toast. Having these preset packages can help you order food/drinks appropriately for your crowd and prevent overcapacity. 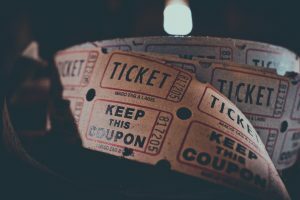 You could even incentivize your staff with who can sell the most tickets for a prize to keep them engaged and customers informed! Music or some sort of entertainment is a must for your New Year’s Eve party! Having entertainment completely transforms the whole feel for the evening. 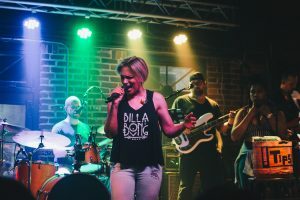 Whether it’s a DJ, live band, magician, or any kind of performer, give your attendees some sort of show they can enjoy while they wait for midnight. You can factor this into the cost of a ticket to your event. But don’t forget to make a countdown announcement or put the ball drop on a few minutes before midnight so guests can officially ring in the new year as it happens. It may seem obvious that since your doors are open, you’ll need to schedule your staff. Customer service needs to be at its highest since your restaurant has transitioned to more of an event center than its normal eatery operations. 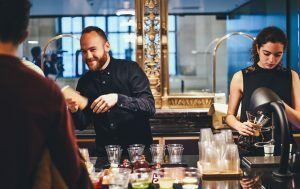 Bartenders should pay careful attention to how much guests are being served, since overserving is a big issue with the holiday. In fact, DUI arrests are at their highest between Thanksgiving and the end of New Year’s weekend. Having the right staff members on hand to make sure guests have a good and safe experience is crucial to helping everyone have a great time. Planning a New Year’s Eve party for your restaurant may seem overwhelming but it’s a great way to bring your customers (and maybe some new faces) in for the holiday. A successful New Year’s event, especially those that are ticketed, can be a lucrative start to what may be a slower month in business. 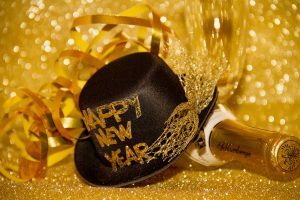 Does your restaurant host an event for New Year’s Eve? What do you found that has worked for your business in the past? Tell us below!